Christmas is here and, as is tradition for over five hundred years ago, the meals of the most important days of the year (Christmas Eve, Christmas, New Year’s Eve, New Year’s Day and the magical Epiphany), include the sweet par excellence this Christmas nougat . 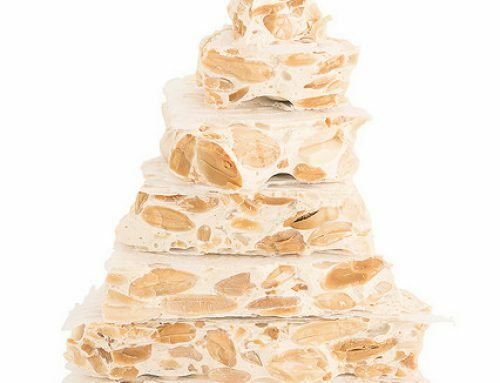 Despite the evolution of the social uses of nougat in recent years in all Spanish households the tradition of desserts this holiday season are chaired by nougat, especially hard candies and soft is preserved, which are those traditionally made with almonds. These types of nougat are now accompanied with a wide range of specialties in which almonds are replaced by products such as chocolate, praline, burned yolk, fruit or coconut among many other ingredients. Additionally, sugarless candies can be consumed by diabetics are made. Nougat, a product of Arab origin, nougat consists of a dough made by cooking honey and sugar, with or without egg, which are incorporated with a kneading or peeled roasted almonds. 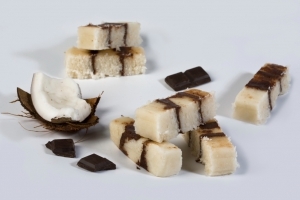 With these ingredients soft nougat Jijona and hard of Alicante is prepared, which are the most traditional and the most popular in the Christmas time. Jijona our history lies a city of Alicante, as the pioneer in the manufacture of this product is artisan nougat. 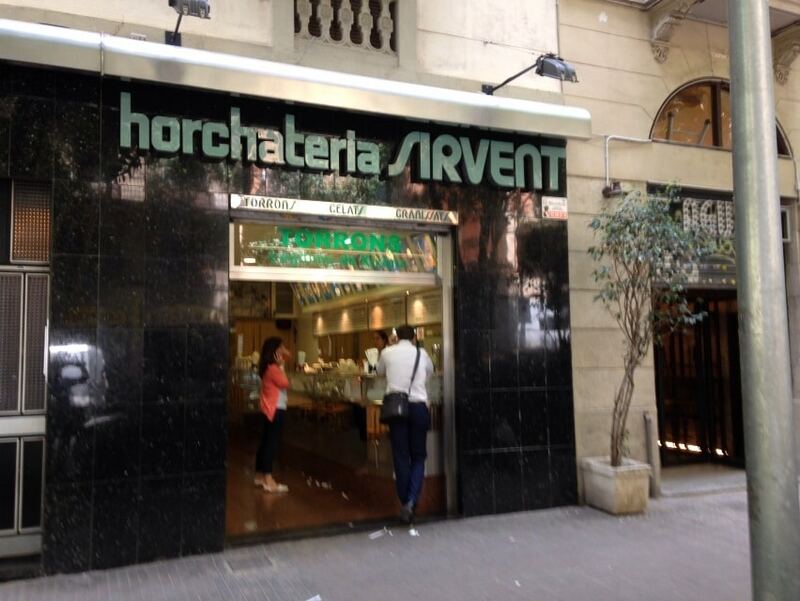 This Alicante city completely transformed the craft and family development of nougat in an industrial process. There is evidence of the craftsmanship in Jijona nougat from the fourteenth century, and further, that in the celebrations of the fall of Granada in 1492 was presented with nougat musicians of conclusion. Although the story whatever I say, not everyone agrees the origin place in Alicante nougat, nougat many Catalans teachers also claim paternity of this fantastic Christmas sweet, but there are very few who challenge this story Nougat true. It is in the province of Alicante (Valencia) and Catalonia the birthplace of nougat, what is clear is that its origin is linked to the Mediterranean coast, where almonds and high quality honey are produced, and where the famous Mediterranean diet could have influenced the evolution of this product. Although there are many references to the custom of eating candies at Christmas since ancient times, and the popularization of Christmas sweet candies as occurred with the final product launch nougat in the eighteenth century. 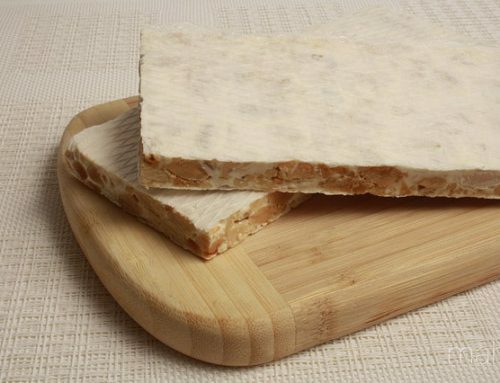 Turrón Jijona : Is known as “soft” and must bear at least 52% almond and 10% of pure honey. In addition, it can lead hazelnuts, egg whites, cinnamon, etc. 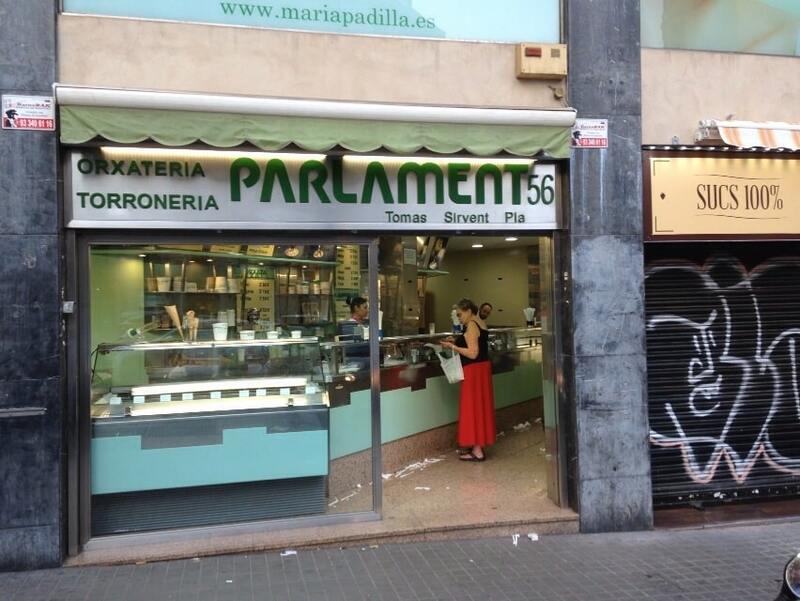 Turrón Alicante : The “hard” and must be made with at least 46% almond and 10% honey. Usually also it carries egg, lemon peel, wafers, etc. Turrón of Guirlache : This type of turrónse consists essentially of almonds and sugar. 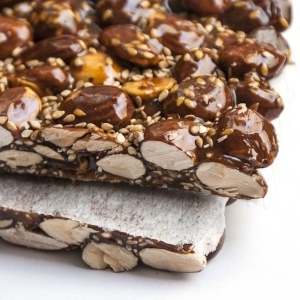 Nougat Terronico : This is a nougat made with turrónde unpeeled almonds and sesame or sesame whose surface is added. Also, soft and hard candies are usually classified into several categories, always depending on the minimum percentage of almond nougat containing in said, fall into several categories, Supreme, Extra, Standard and Popular. 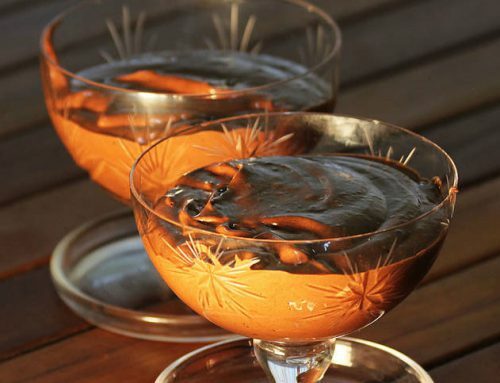 Today, we can also find a wide variety of new specialties such as nougat ejemple the chocolate, egg, toast or burnt cream, marzipan fruits and nuts, among many others, which are referred to various candies. The nougat is a food high energy power, rich in carbohydrates, vegetable fat and protein. Your caloric intake, which varies depending on the amount of kernel containing (hence categories), is high, it should be consumed in moderation. 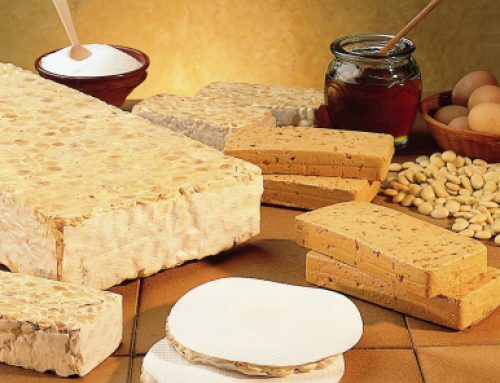 Despite its high caloric value, nougat is a healthy and compatible product with the Mediterranean diet because it is made from natural raw materials; see article: benefits and properties of nougat . Trans fats come directly from artisan nougat almonds, a heart-healthy fruit, and contain no cholesterol. These are fats with a high fatty acid content. In addition, honey has a variety of minerals and a vitamin rich, its main energy intake comes from carbohydrates. And careless of this advantage, another advantage is that it provides nougat vitamins (A, E, group B), potassium and phosphorus. All these nutrients, in addition to its delicious taste, taste these properties invite Spanish Christmas sweet par excellence, the artisan nougat.